The skyrocketing prices of goods and services across the country have reflected in Nigeria’s inflation rate climbing to a near six-year high of 13.7 percent in April, 0.9 percentage point higher than the previous month’s level of 12.8 percent. The cost-push inflation is driven primarily by electricity rates and severe scarcity of petroleum products, which had forced increases in transportation cost and consequently, arbitrary increases in cost of all other commodities and services consistently for several months now. 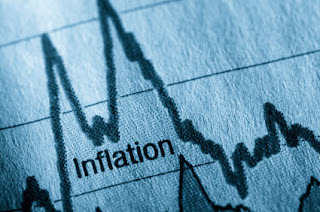 National Bureau of Statistics, NBS, in a report yesterday, said the April inflation reading, the highest level since August 2010, reflected increases across all sectors, unlike the previous months which had one or two sectoral exceptions. The NBS said the impact of higher prices in petrol and vehicle spare parts contributed significantly to the core sub-index in April. “These items as well as other imported items continued to have ripple effects across many divisions that contribute to the core. The index increased by 13.4 per cent in March, roughly 1.2 per cent points from rates recorded in March,” it stated. According to the CPI figures for April, which was released yesterday by the statistical agency, higher rate of increase relative to March, was reflected in faster increases across all divisions which contributed to the index with the exception of restaurants, and hotels division which increased, though at a slower pace for the third consecutive month. The food index increased by 13.2 per cent in April, up by 0.4 per cent from rates recorded in March as all major food groups which contribute to the food sub- index increased at a faster pace driven by higher food prices in fish, bread and cereals, and vegetables groups, the NBS further noted. It said increases in imported as well as domestically produced foods further resulted in a higher increase in the food sub-index in April. The “All items less farm produce” or core sub-index increased by 13.4 per cent in April or 1.2 per cent from 12.2 per cent recorded in March. On a month- on-month basis, the core sub-index increased at a slower pace for the second consecutive month in April, increasing by 1.7 per cent, 0.2 per cent lower from 1.9 per cent in March.